Our Tamilnadu State Government Change the exam pattern for 12th standard Public Exam From this Year ( 2018-2019 ). On the basis of this implementation our government conducting so many meetings and discussions with the Educationists, Parents and Teachers. 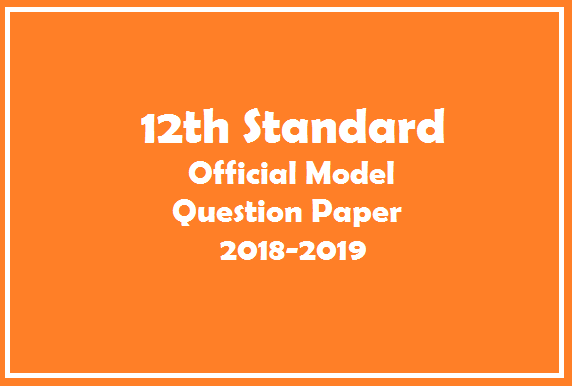 Now the final pattern of 12th standard official Public Exam Question Paper was published in SCERT (www.scert.org). 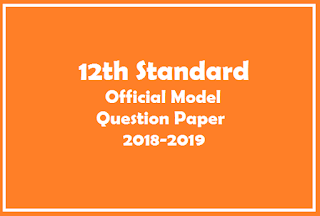 Also we are updated this official model question papers for students and teachers reference. Kindly Download the Question Papers as per your subject needs.